Dust extraction system for the DeWalt and Delta Scroll Saws. Comprehensive Review and Installation. I receive many emails about dust collection for the scroll. 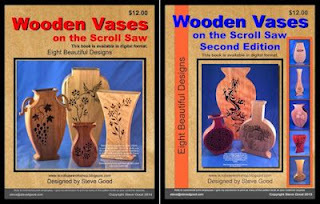 A few scroll saws have rudimentary dust collection that honestly does not work that well. There are one or two other dust collection systems that I have reviewed here on the blog. This is another option. The Scrollnado. About two weeks ago I received an email from Chris, the inventor of this product asking if I would like to review the Scrollnado. With a cool name like that how could I turn it down. 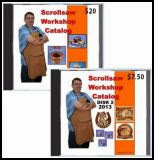 This version works with the DeWalt Dw788 and the newer Delta scroll saws. If you don't own one of those systems watch the video anyway and if you like what you see it could not hurt to let it be known you would like to see them expand their choices. 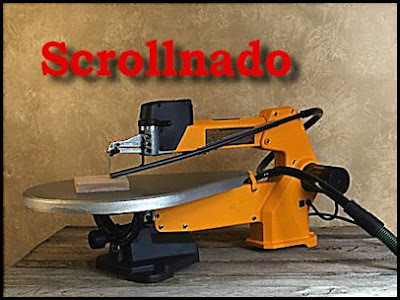 Here is my affiliate link to the Scrollnado on Amazon. This is not a paid endorsement for this product. I did receive the product for free. I will make a small fee if you use the link above to buy the Scrollnado. Make sure you watch the video before you consider the purchase. For some reason the website for the Scrollnado is down tonight so I'm not going to post it until I talk with Chris tomorrow and make sure I have it correct. I'll update you on that in tomorrows post. The video is best viewed full screen in HD.